NLC Solutions is a full-service commercial cleaning company that serves a wide array of locations, including Somerset County. We have been in the business for over three decades and we pride ourselves on the stellar commercial cleaning services we deliver as an independent business. You can be sure that we will go the extra mile to ensure all your commercial cleaning needs are met. As one of the oldest counties in America, Somerset County is named after the renowned county in Southwest England. It is part of the New York Metropolitan region, where the most populous place is Franklin Township. In 2015, the county had the second highest per capita income in New Jersey. It is well-connected through an excellent transport infrastructure with state Route 27 and Route 28 traversing through it. Floor Care in Somerset County, NJ:Do you need your floor to be waxed or stripped? Are you looking for carpet cleaning and deodorization services? NLC Solutions has got you covered with stellar floor care services. Industrial Cleaning Services in Somerset County, NJ:We employ effective cleaning methods to address your facility's cleaning and maintenance requirements. Green Cleaning Services in Somerset County, NJ:At NLC Solutions, the eco-friendly products we use contain organic materials that break down without harming the environment. Cleaning Supplies in Somerset County, NJ:We provide medical-grade cleaning supplies to offices, schools, manufacturing facilities, churches, and warehouses in Somerset County. No matter what your commercial cleaning needs are, you can be sure that we have the perfect cleaning solution for you. 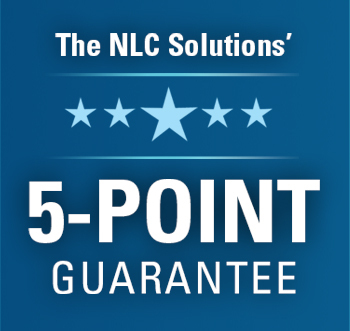 Drop us an email at info@nlcsolutions.com or give us a call at (908) 753-3900 to get more information.